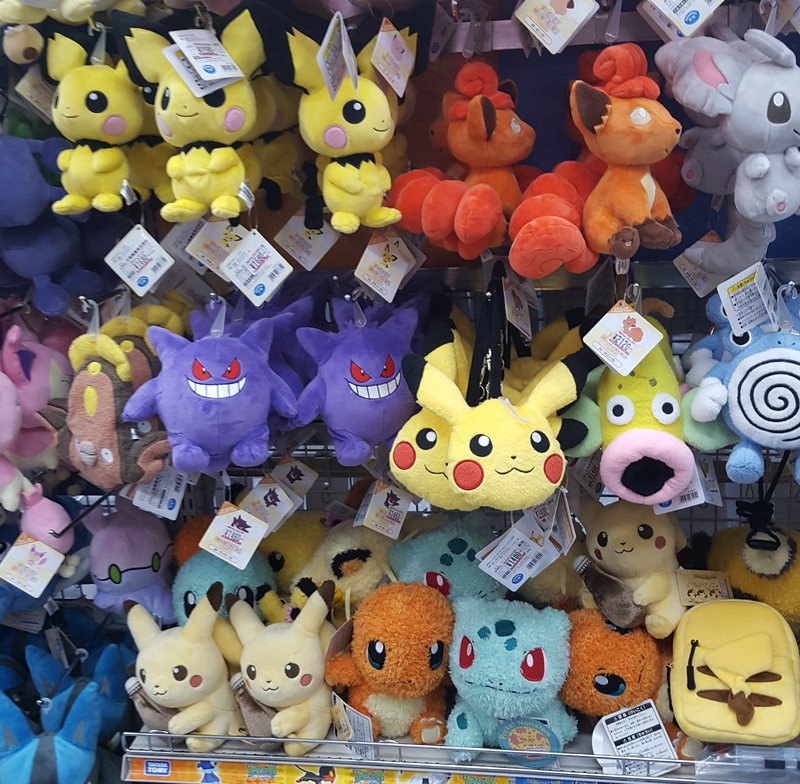 This is a guide to all the anime, manga and gaming related Shopping, Museums, Theme Parks and Cafes found in Tokyo. The google maps locations are listed beside the location. For more information on the opening hours and closing days, click on the links provided! The hours provided refer to weekday hours, most businesses are open for slightly longer hours on weekends. 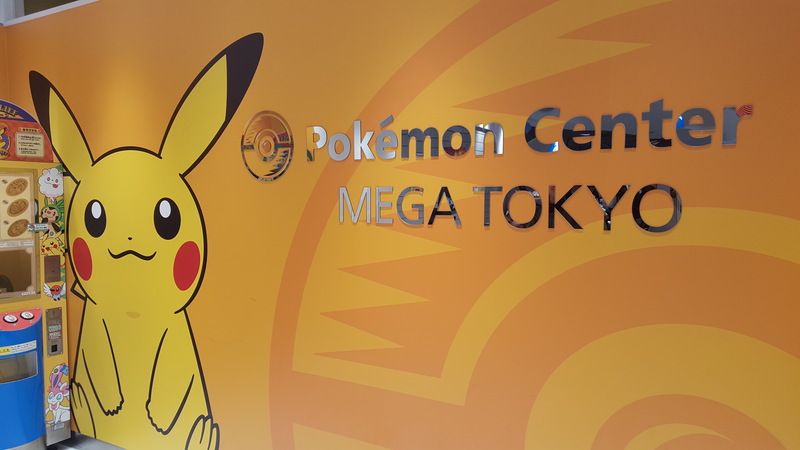 These are the main places to visit in order to find merchandise and all things geeky. 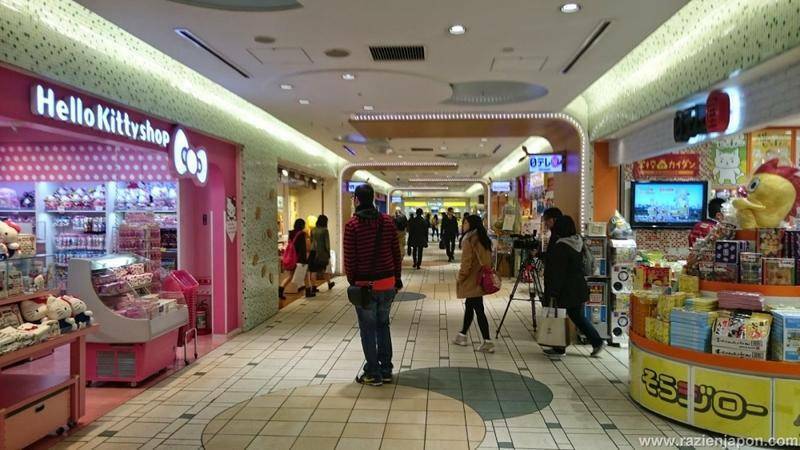 Arcades- Club Sega, Adores and Gigo are all very popular for claw machines, video games and purikura. Just look for the Sega logo. Most arcade hours- 10:00 to 24:00. 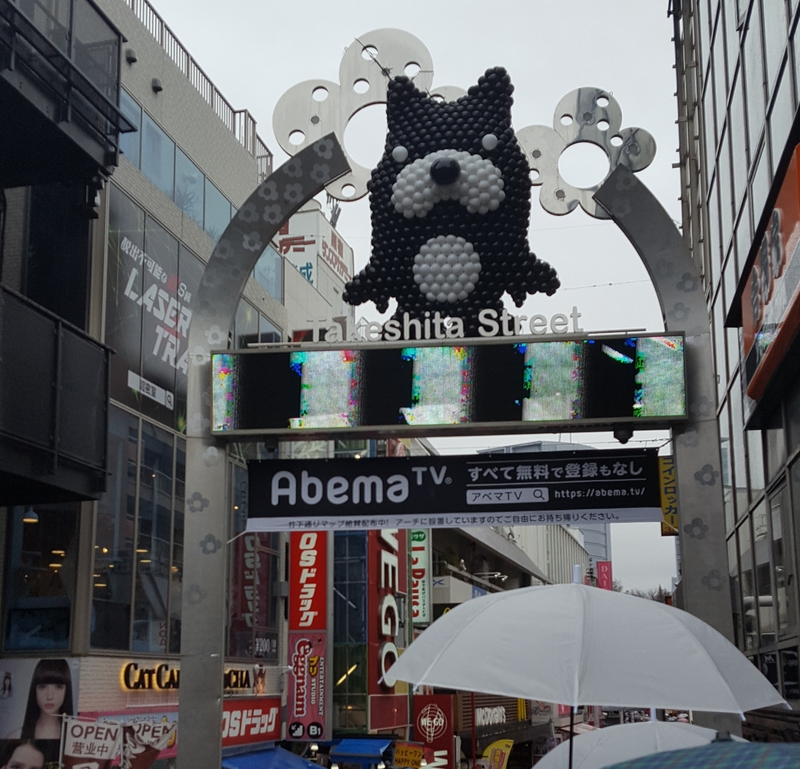 These are the museums and galleries dedicated to anime and Japanese characters. 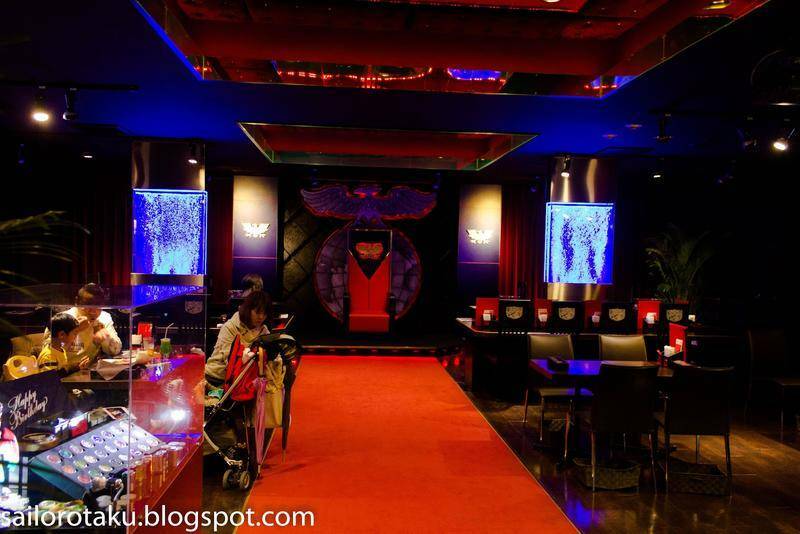 They often have cafes within them that sell themed meals and snacks. 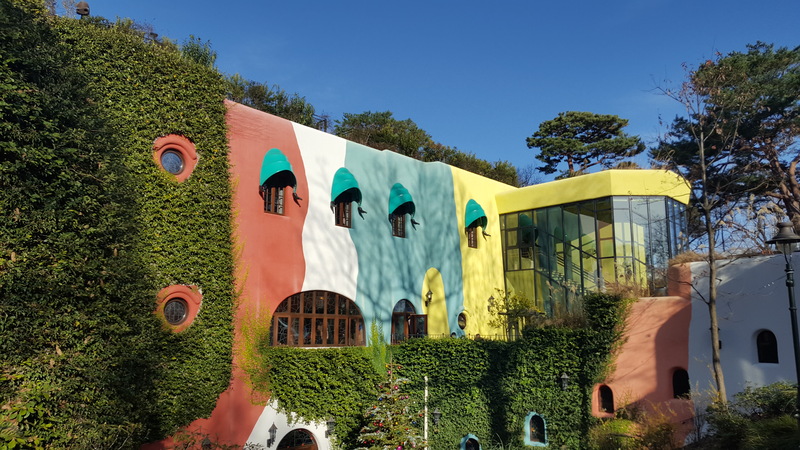 The Ghibli museum is the hand crafted legacy of the legendary studio Ghibli, which has produced some of the most famous and iconic anime movies of all time. 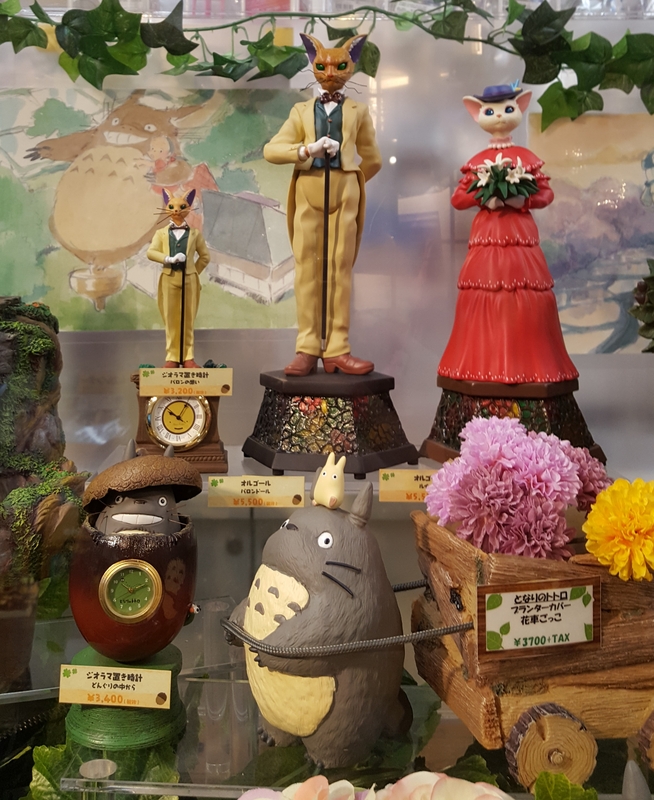 A must see for Ghibli fans! For information on ticketing, click here. Prior booking is required, and tickets can strictly only be used on date & time booked. I recommend you try your best to buy tickets online instead of Lawson. 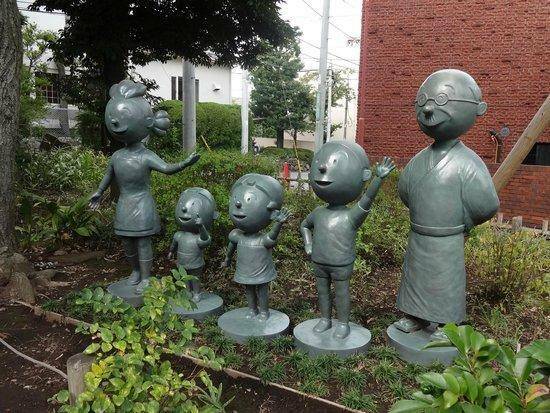 Better known as the Doraemon museum, this museum contains a collection of Fujiko F. Fujio's work, including original artwork from the well loved Doraemon series. For information on ticketing, click here. Prior booking is required, and tickets can strictly only be used on date & time booked. Guides to get them from Lawson are found on the website. 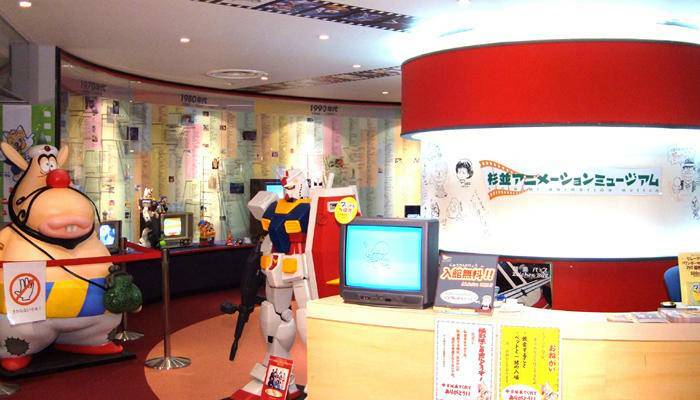 This museum covers the history and production of animation in Japan. It offers an insightful look into the industry as a whole, with English audio guides. 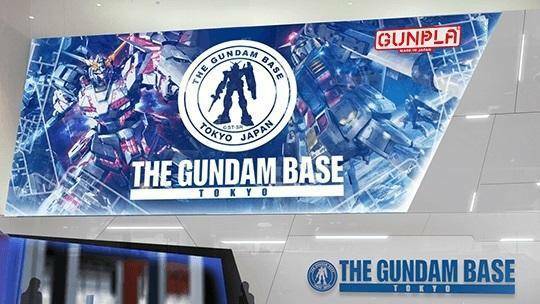 The Gundam Base replaces Gundam front, focusing more on the shop which boasts more than 2000 products. There will be a museum gallery and even a workshop to build your own gunpla! 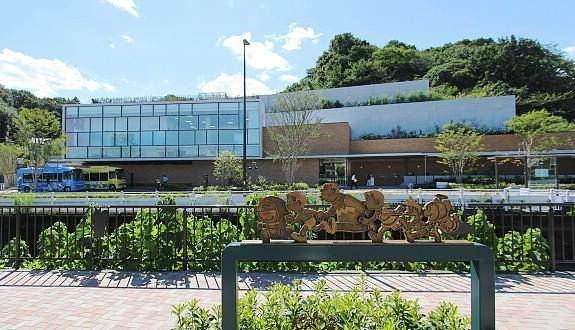 This art museum is dedicated to the creator of the original darling of anime and manga, Sazae San. She resonates with so many in Japan and holds the world record of the longest running animated series. A little far but still in Tokyo! 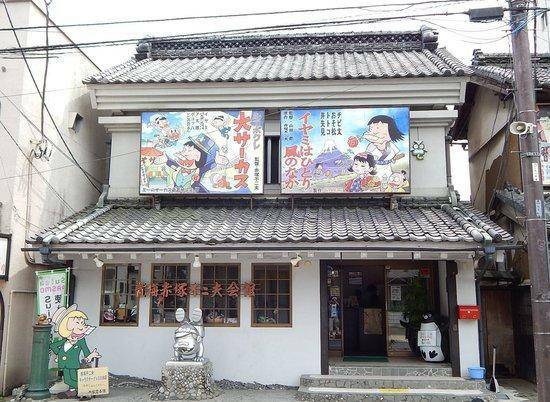 This museum pays homage to the legendary Akatsuka Fujio, known as the gag manga king. He is most well known for Osomatsu Kun and Tensai Bakabon. Theme parks with games and rides dedicated to anime and Japanese characters. These parks often have cafes with themed meals. 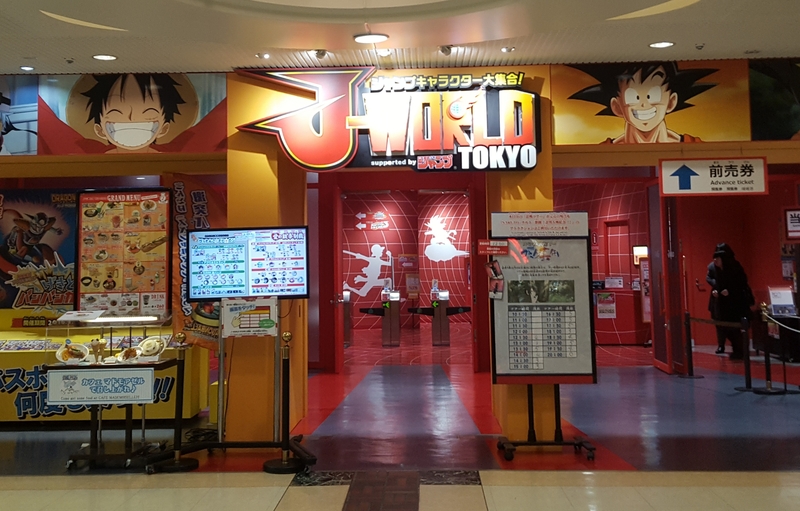 J world is an indoor theme park based on extremely popular Shounen Jump series. The park is divided into sections dedicated to each series, and there are plenty of photo opportunities and games. 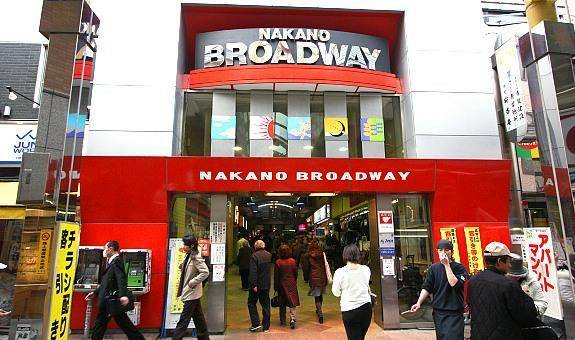 Although there are games, this is more of a food park, with a gyoza stadium and a dessert yokocho. 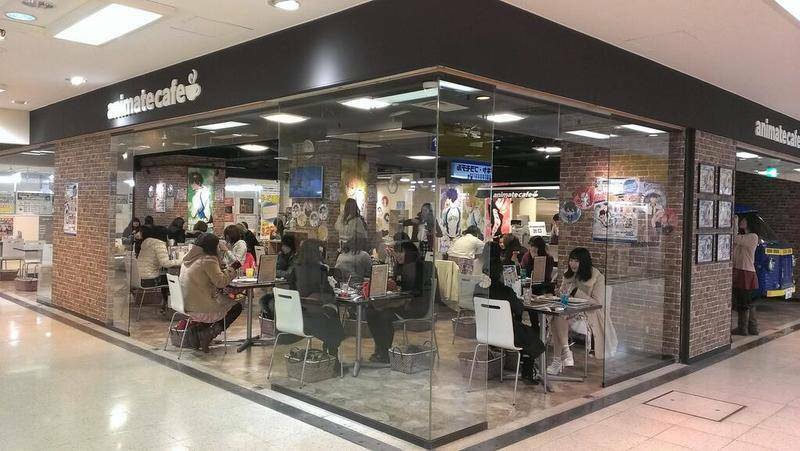 Namja town often has collaborative events with popular anime featuring themed food and merchandise for limited time periods. 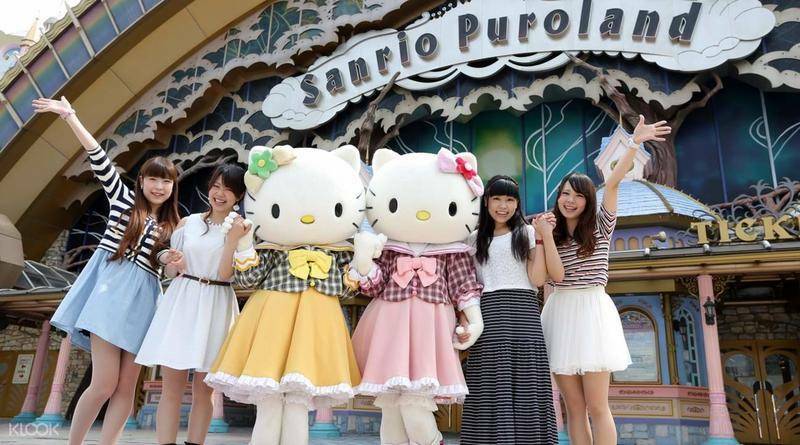 A theme park with musicals, rides, restaurants and gift shops all decorated with your favourite Sanrio characters. 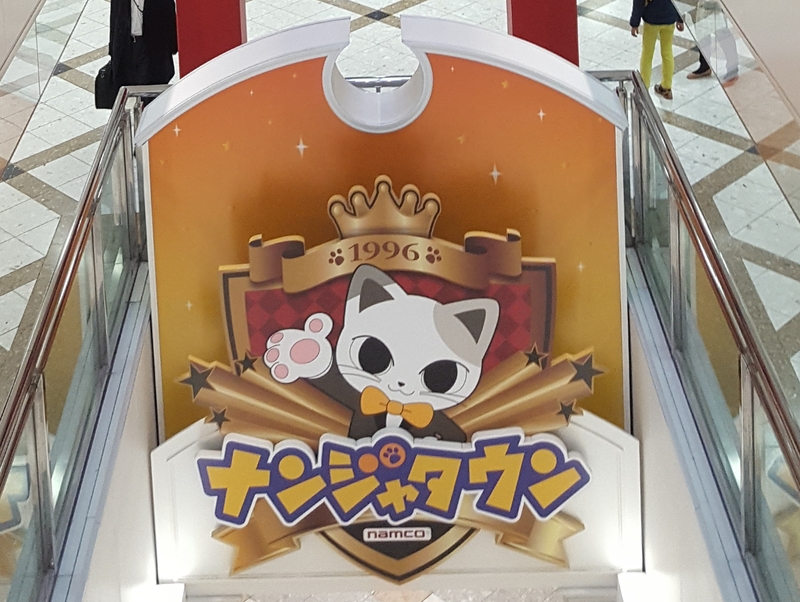 This one is not to be missed if you're a fan of the cute Sanrio characters. 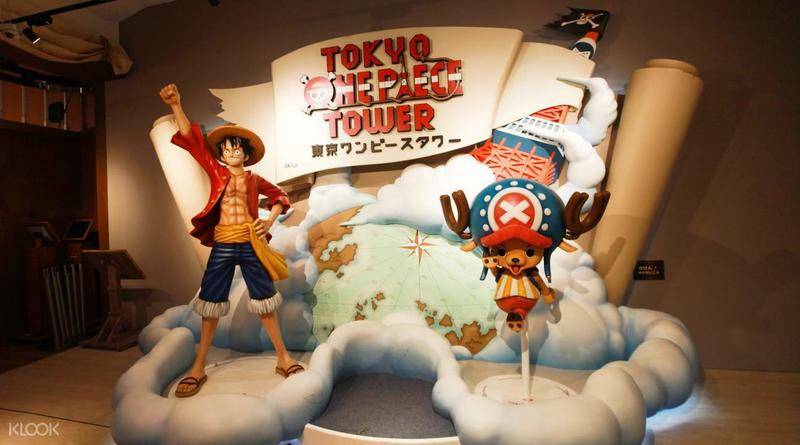 A celebration of the most popular manga in Japan, the one piece tower has a similar concept to J world, with lots of photo opportunities and themed food. There is also a live show. 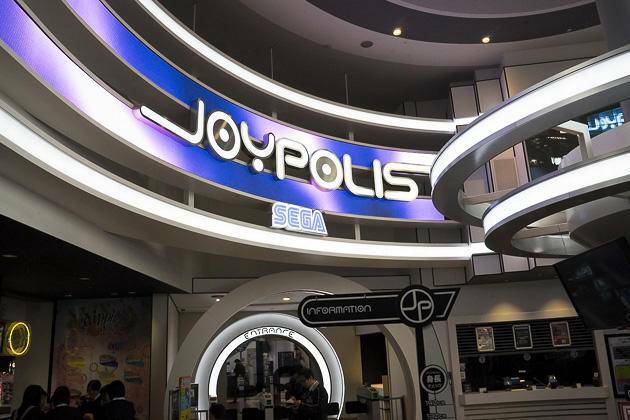 A theme park filled with arcades, thrill rides and VR attractions owned by Sega. Rides include Initial D driving simulator, a Sonic racing game and a roller coaster combined with a music game. Besides the cafes listed above, here are some more cafes not within a park or museum. If you're a fan of mechs, this is the place to go! 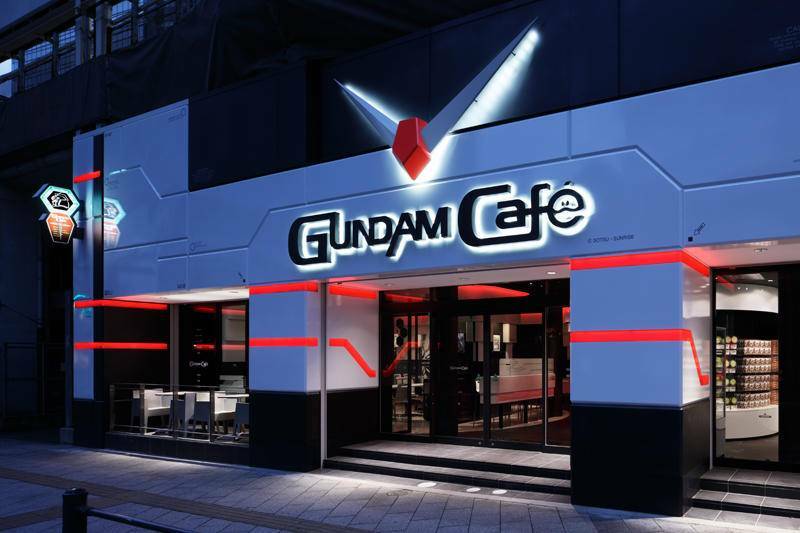 All the food and decor is inspired by the hugely successful Gundam franchise. Both set meals and a la carte options are available. 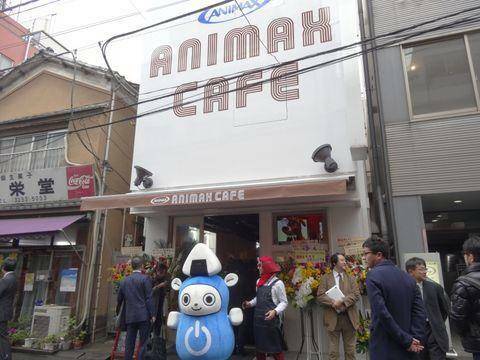 This is an anime themed cafe owned by the anime channel Animax. The staff are all aspiring voice actors and musicians. Sometimes on weekends, there even are actual voice actor and anime music performances (Reservations reccomended)! 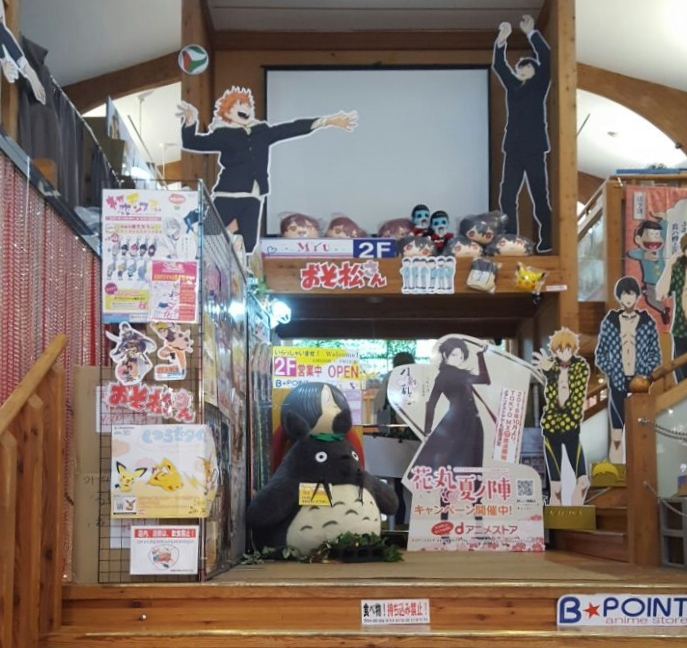 The animate cafes regularly change their menus based on their on going collaborations. Past collaborations include Attack on Titan and My Hero Academia. Click here (Japanese) for information on their on going collaborations and locations. 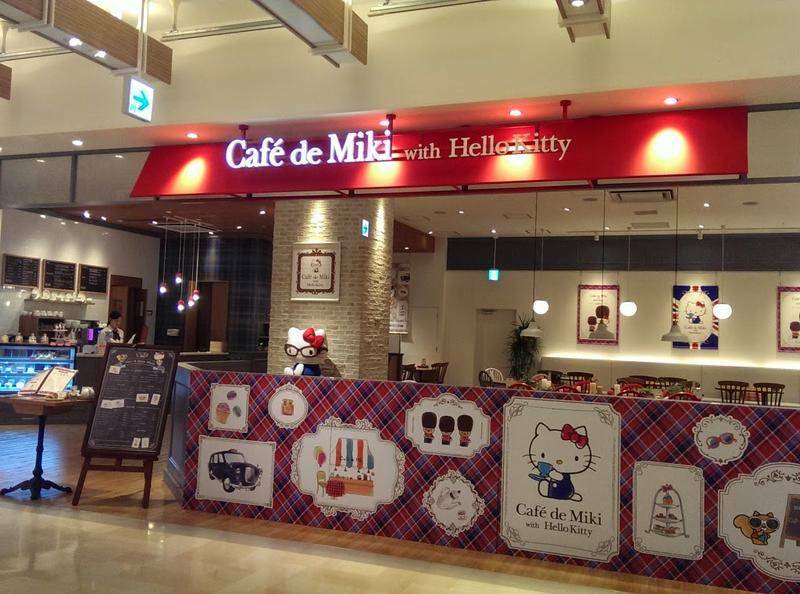 Sanrio has remained immensely popularity all over Asia, and this cafe pays tribute to the one that started it all- Hello Kitty. The cafe has a British style and serves sweet dishes like pancakes. 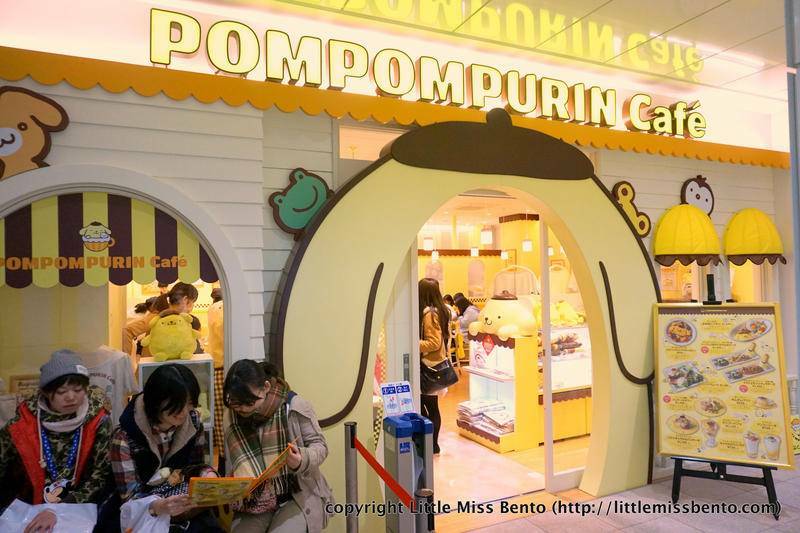 Another one of Sanrio's cute character cafes, the pompompurin cafe is extremely popular. It serves both Savoury dishes and sweet desserts. Some of the desserts even come with a free souvenir mug! A restaurant dedicated to the cult classic series featuring a grasshopper inspired motorcycle riding hero. Both desserts and meals are available. There are also official Kamen Rider gachapon. Gamers, take note! 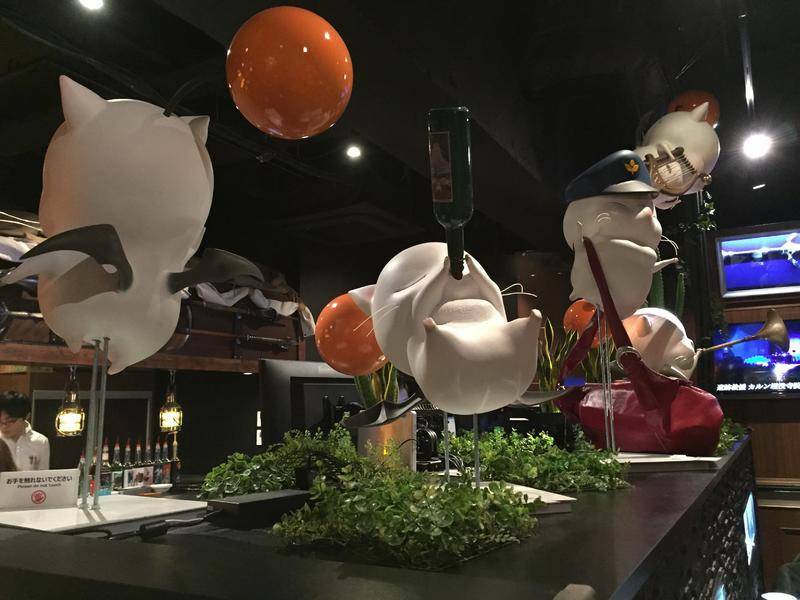 This cafe is based on Final Fantasy XIV. There is a monster menu, primal menu, job class menu and character menu. You also receive a stamp card which when filled can be exchanged for merchandise. Getting tickets (yes, you need a ticket in advance) is a bit tricky because you need to navigate through Japanese webpages/ Lawson in Japan. Here's a guide to help you, and information from their website. This cafe is a blast from the past with retro game cassettes, consoles and even books on game strategies. 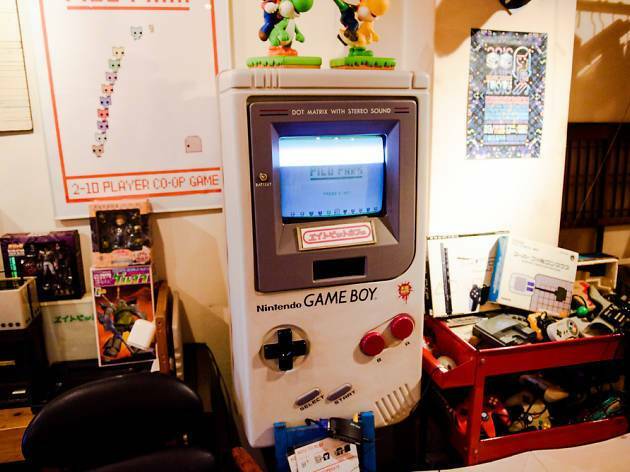 You can play vintage games and Nintendo classics while having drinks and snacks. Whew, we're finally done! 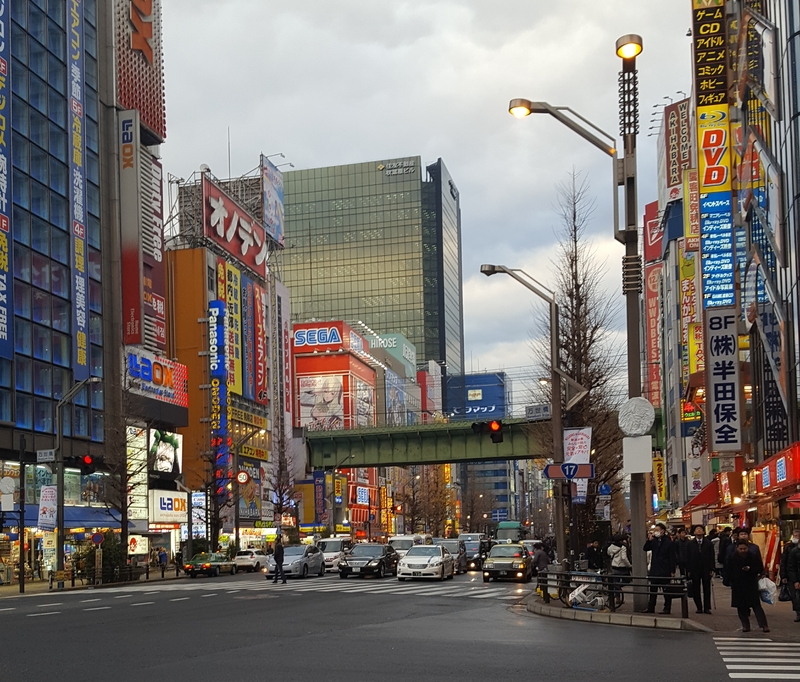 While it's virtually impossible to cover everything, this pretty much covers most of the places made for those who enjoy gaming, manga and anime. I hope this guide is useful for your planning! Super Comic City! 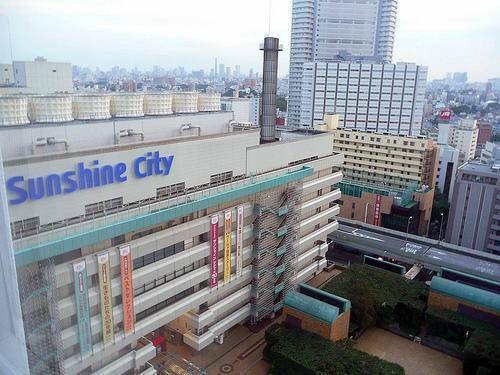 Your one stop summer comic central in Tokyo! 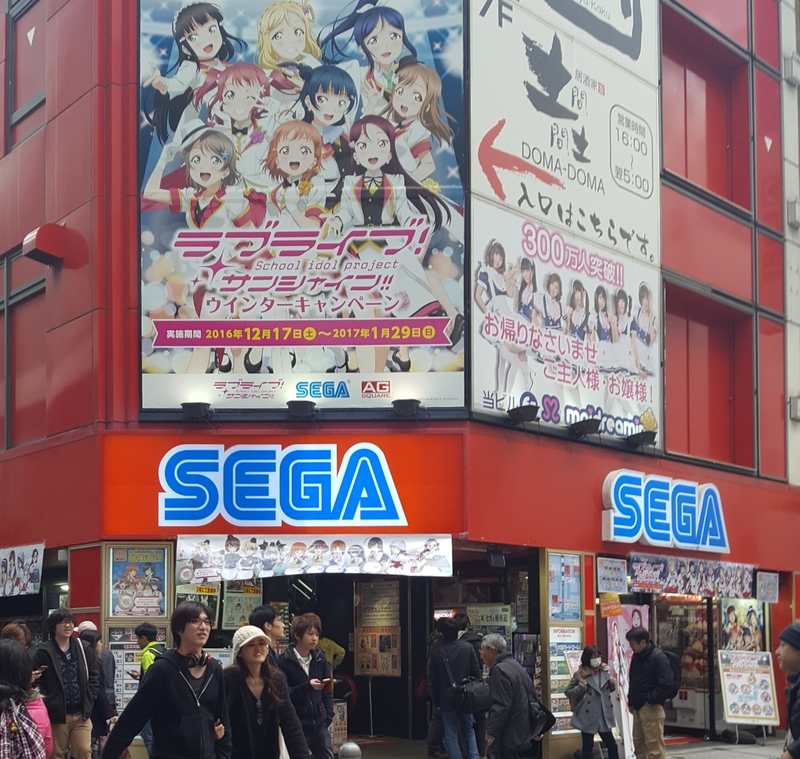 Ota Road, or the Road of Otakus, houses many pop culture shops and maid cafes.